The Spelthorne Constituency was created by the 1918 Reform Act (which greatly extended the number of people entitled to vote). It was a County of Middlesex seat – covering a large, mainly rural area. As London grew, Middlesex became more urban and parts of Spelthorne Constituency were taken away to form their own constituencies. By the time Middlesex County Council was abolished in 1962, the Spelthorne Constituency consisted only of the Staines and Sunbury Urban District Councils’ areas. Because these areas stayed out of Greater London they had to be added (for administrative purposes) to another upper tier of local government. 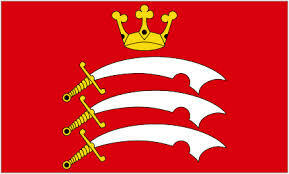 Thus it was that our part of historic Middlesex became one of Surrey’s eleven parliamentary constituencies. The name Spelthorne (which derives from a gathering of people sitting under a tree) was originally the name of one of the ancient Hundreds of Middlesex (the area colonized by the Middle Saxons). It covered a significantly larger area than today’s constituency. Hundreds were a key unit of medieval administration – especially for the Elizabethan Poor Law. Spelthorne’s principal town, Staines, grew up around a Roman Bridge (for a long time the lowest crossing point on the Thames). It was also where the barons camped before confronting King John at Runnymede. 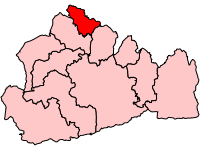 The Spelthorne Constituency is geographically small (about six miles by four). It is bounded on the south by the Thames, to the north by Heathrow Airport, to the east by the London Boroughs of Hounslow and Richmond and to the west by Berkshire. Its main towns/villages are Stanwell, Stanwell Moor, Staines, Ashford, Charlton, Halliford, Laleham, Shepperton and Sunbury-on-Thames. It is mainly urban, but still has some open Green Belt areas. It also has many reservoirs and flooded gravel pits (20% of its area is under water). It also includes many of Heathrow Airport’s off-airport facilities. When Middlesex County Council was abolished in 1962, Staines and Sunbury Urban District Council areas were added (for administrative and service provision purposes) to historic Surrey to form the new Administrative County of Surrey. In 1974 the two District Council areas were merged to form Spelthorne Borough. Surrey County Council provides services such as education, social services, libraries, fire and rescue, highways and police, whilst Spelthorne Borough Council provides services such as housing, planning and refuse collection.